Your face is your signature to the world. It sees a lot and shows a lot. When it comes to perfecting it, assessing how you want to show off your attributes and sense of style, it can require a bit of research into what options are out there. 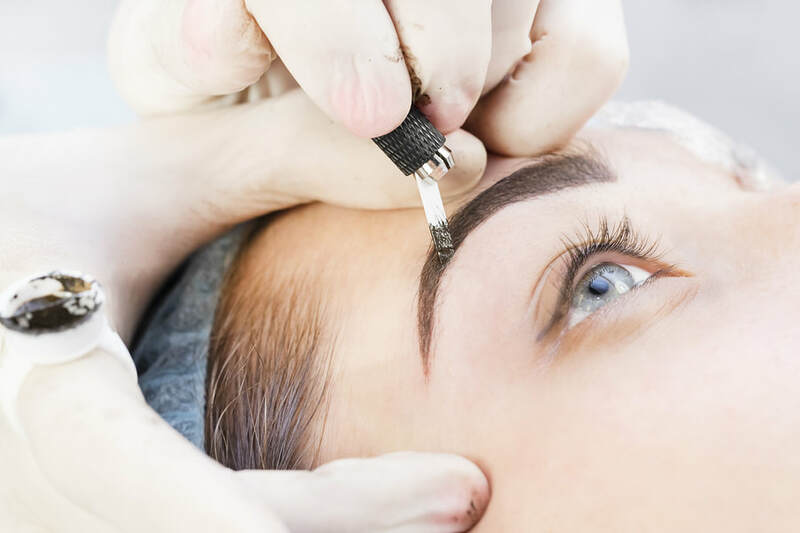 From micoblading, permanent eyeliner, lash extensions to tattoo removal some options might be perfect for you, and others better for someone else. There are significant factors that play into which procedure will work best for you. Things to take into consideration would be the thickness of your lash shaft, your skin type, your daily routine, and recovery time. Lucky for you I-Brauhaus NYC has you covered and our experts are well experienced in outlining what exactly it is you are looking for as well as being skillfully trained in the delicate precision that cosmetic tattooing requires. From deciding between if it is an ombre brow you need, or if it is a lash tint and lift that will get you that look (or perhaps it is both) our intuitive certified staff here at I-Brahaus NYC will guide your through the services that we offer to find the look you desire. Our I-Brauhaus NYC experts then custom suit our techniques in a consultation to compliment the shapes and curves of your natural beauty. I-Brahaus NYC take great pride in bringing you the satisfaction you envision.